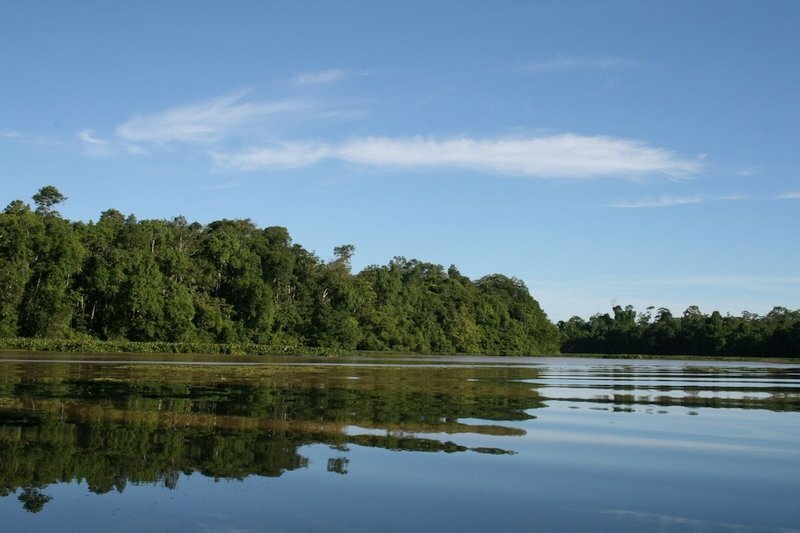 The lower basin of the Kinabatangan River is the largest forest covered floodplain in Borneo, Malaysia and has the largest concentration of wildlife in the South East Asian region. The 560km Kinabatangan is the longest river in the state of Sabah. 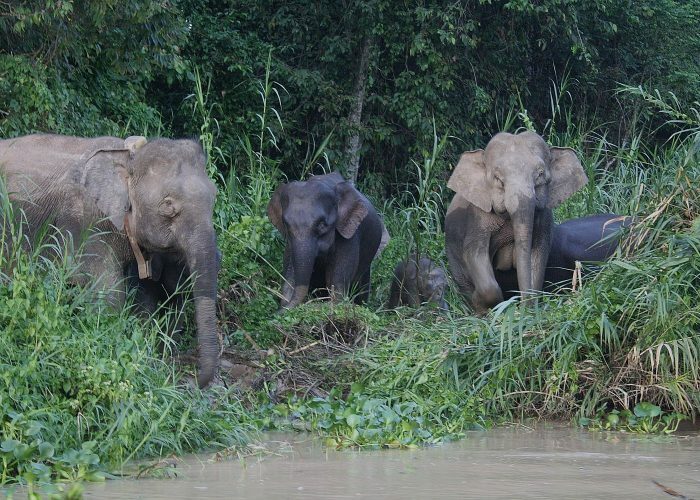 Travelling downstream along the immense river, one would arrive at Kinabatangan Wildlife Sanctuary. Here lies one of the biggest habitats for tropical wildlife. 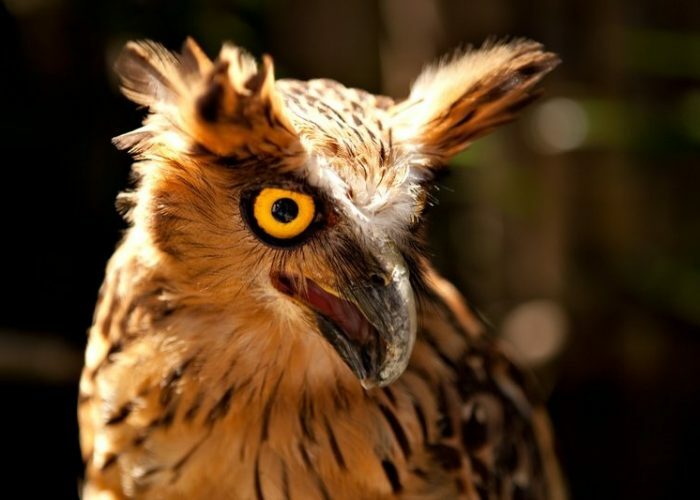 The Kinabatangan Wildlife Sanctuary is one of the richest ecosystems on planet earth. Fresh water lakes and mangrove swamps are two of the variety of biodiverse areas that exist here. 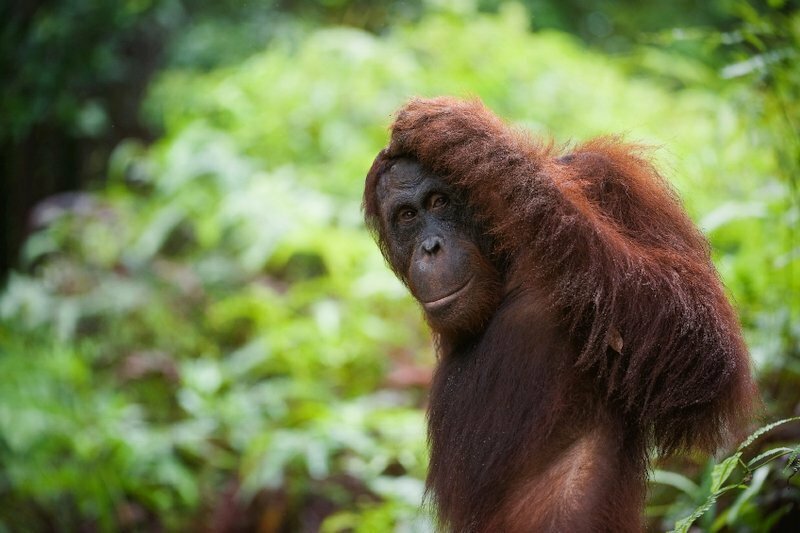 The well-known orangutans and the proboscis monkeys live and flourish here. 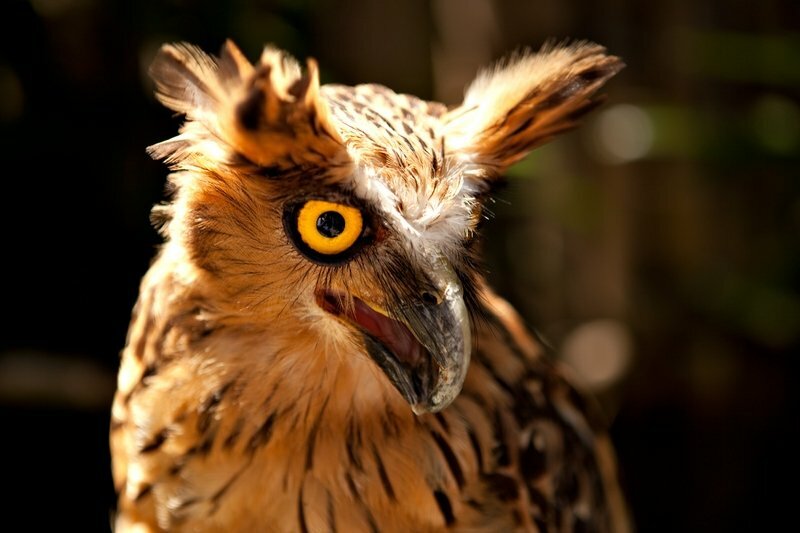 In addition, a huge variety of birds of the Borneo Island, reptiles and elephants have also made this sanctuary their home. 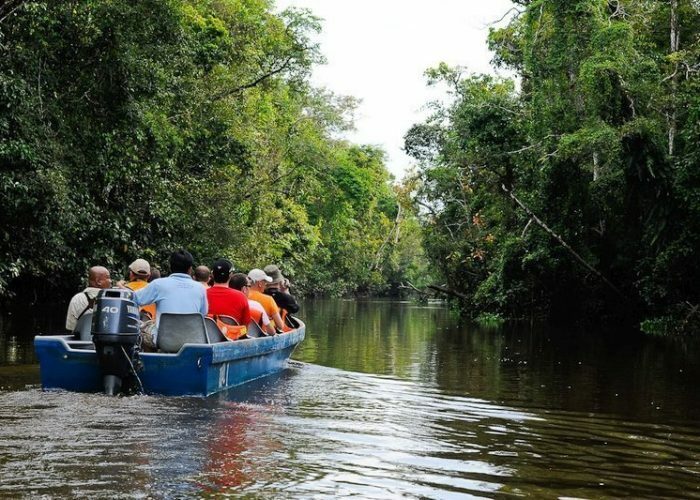 A visit to Kinabatangan Wildlife Sanctuary would surely include a boat ride that takes the visitors into the swamp populated with mangrove trees. 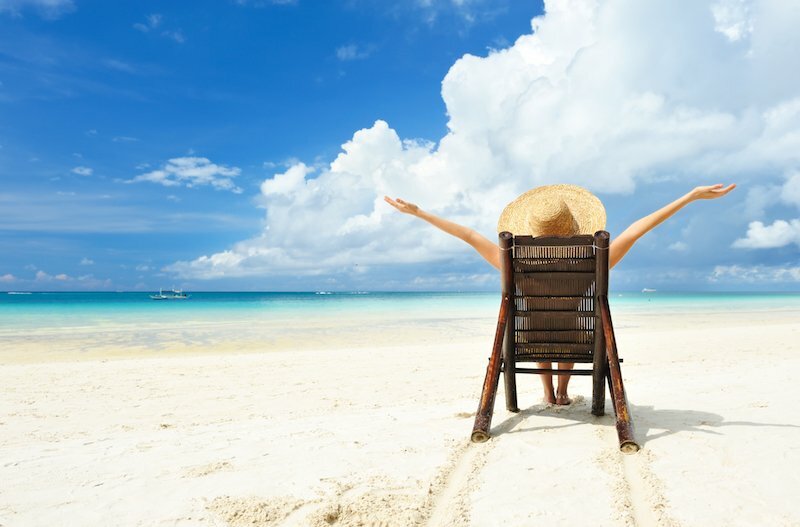 Visitors will surely be awed by the wildlife found here. What’s more, having the opportunity to view the plants and animals up close would be a sheer delight for many visitors. 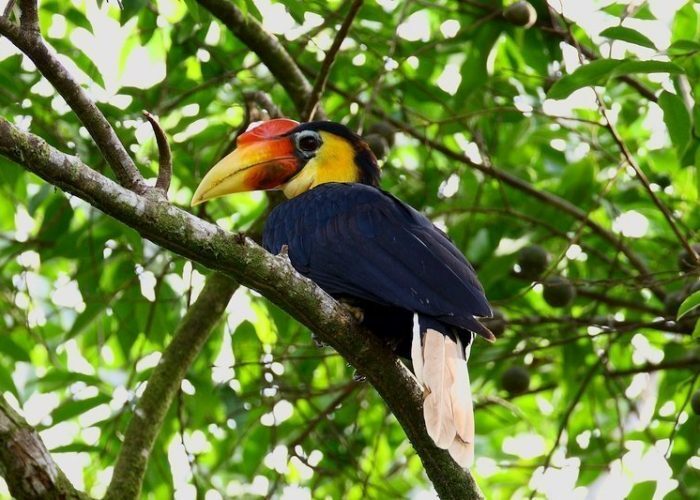 Imagine seeing at close range hornbills flying from a tree to tree, kingfishers perching on the tree branches ready to dive into the water to fish, and female proboscis monkeys hanging on a tree feeding their infants. 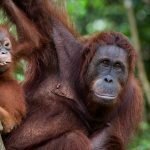 If one is lucky enough, one might even chance upon the orangutans, gibbons, and Borneo pygmy elephants that roam in the wild. 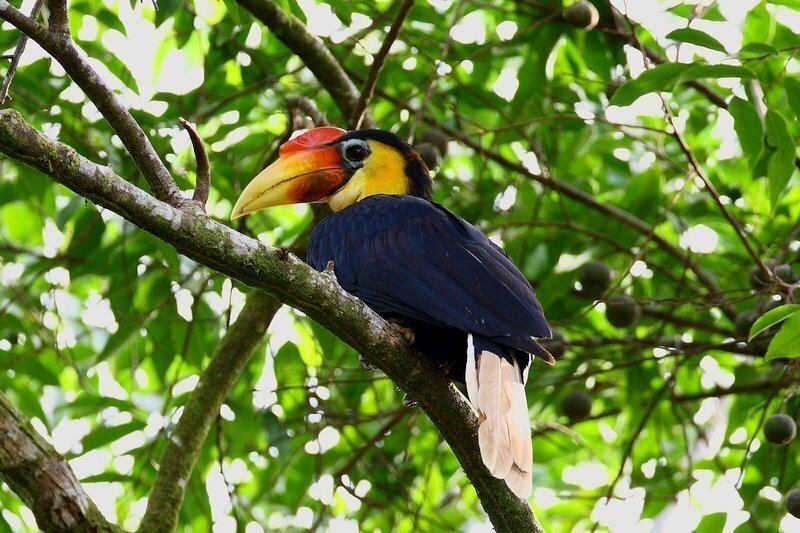 The lower Kinabatangan supports a high diversity of fish, bird, mammal and reptile species. Some of these are found only in Borneo. 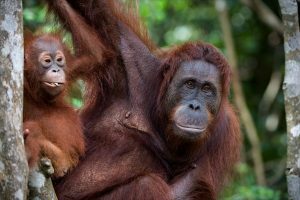 It also home to several endangered species which are increasingly threatened by habitat loss and forest fragmentation. 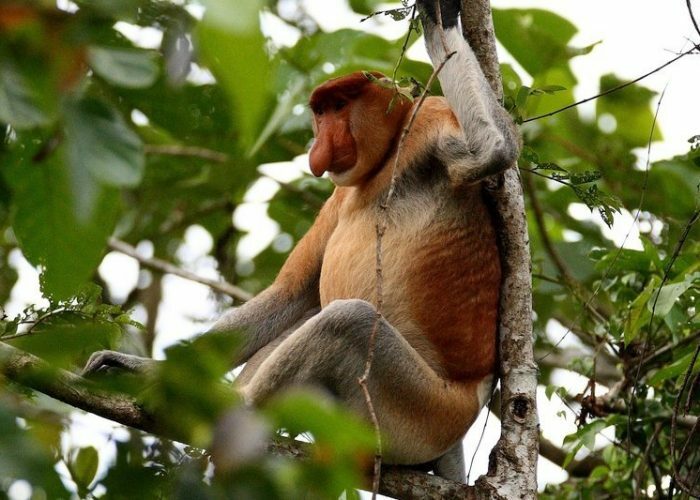 The animal most closely associated with Kinabatangan is the captivating proboscis monkey which, settles down for the evening in the tree lining the river and tributaries. 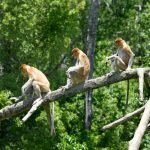 In addition to the proboscis monkey, the lower Kinabatangan is home to other primate species such as the leaf monkey or langur, the orangutan, the macaque, the gibbon, the nocturnal tarsier and slow loris. 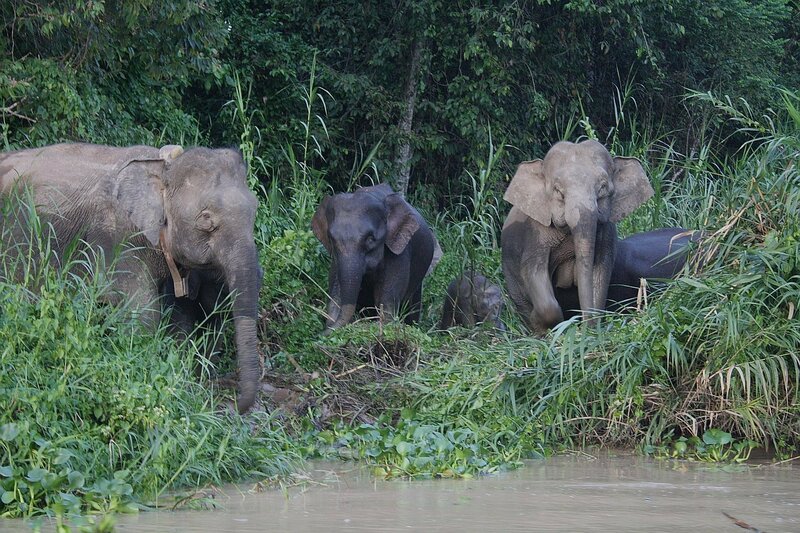 Other large mammals found here are the pygmy elephants, the Malaysian sun bear and the endangered Sumatra rhino. Four species of wild cat has been sighted in the lower Kinabatangan. The clouded leopard is the largest wild cat in Borneo and it is formidable rainforest predator. Many water birds which have become rare or have disappeared from other part of Malaysia are regularly seen along the river and lake of the Kinabatangan floodplain. Several species of egrets, the rare oriental darter commonly frequent the oxbows. Other fish-eating birds are the colorful variety of kingfisher along the tributaries and raptor such as the Brahminy kite and the crested serpent eagle. Some of the commonly spotted birds near Sukau are the Raffles malkoha, the greater coucal, red-crowned barbet, black & yellow broadbill, white-ramped shama and white chested babbler. 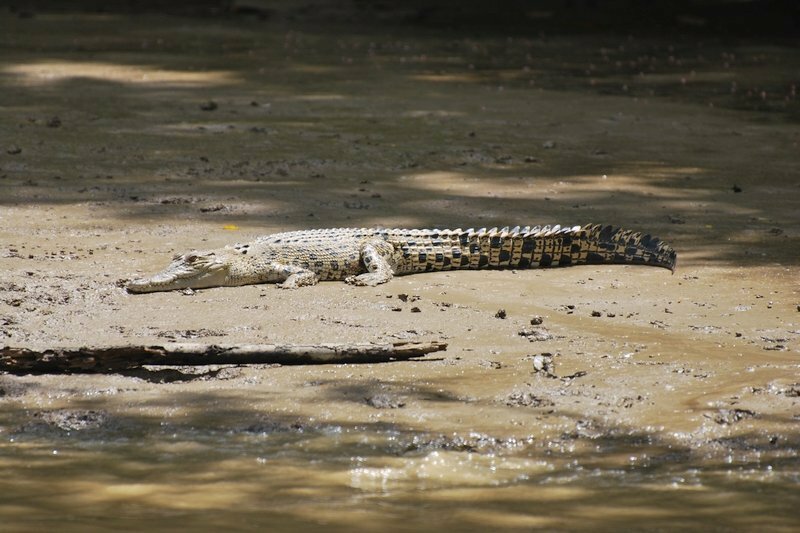 The lower Kinabatangan possesses a rich reptile fauna including tortoises, freshwater terrapins, snakes, lizards and crocodiles. These wetlands are also important habitat for amphibians. The oxbow lake is a natural formation and occurs when the river create a meander. It contains plants characteristic of both freshwater and mangrove environments. Sections of the lake are covered with impressive mats of Hanguana Malayana, a native aquatic plant. The Oxbow Lakes are especially good places to watch waterbirdspoised to catch fish along the shallow edges. The lakes are also prime fishing areas for otters and flat-headed cats. The Menanggul tributary can be reached by a 5-minute boat ride from Sukau. It’s a lovely narrow river which is very important for wildlife. 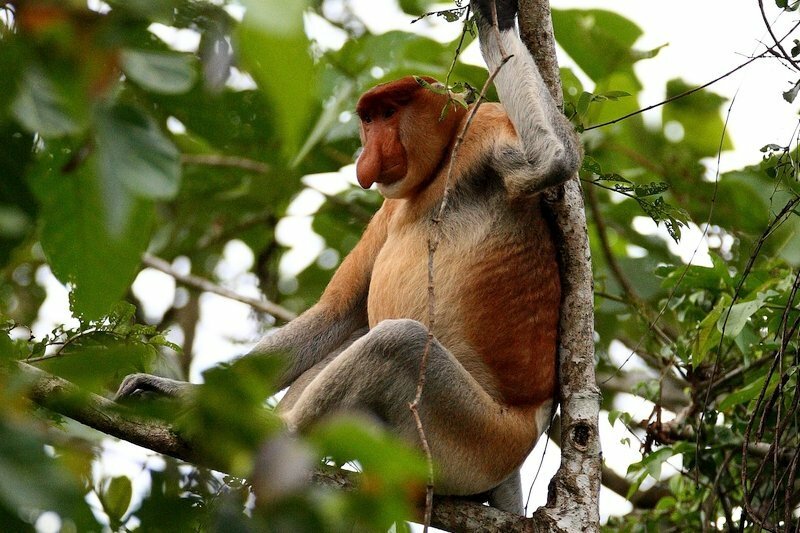 Proboscis monkeys are a common feature, and there are usually opportunity to spot monitor lizards, macaques, kingfishers, hornbill and occasionally even crocodiles. 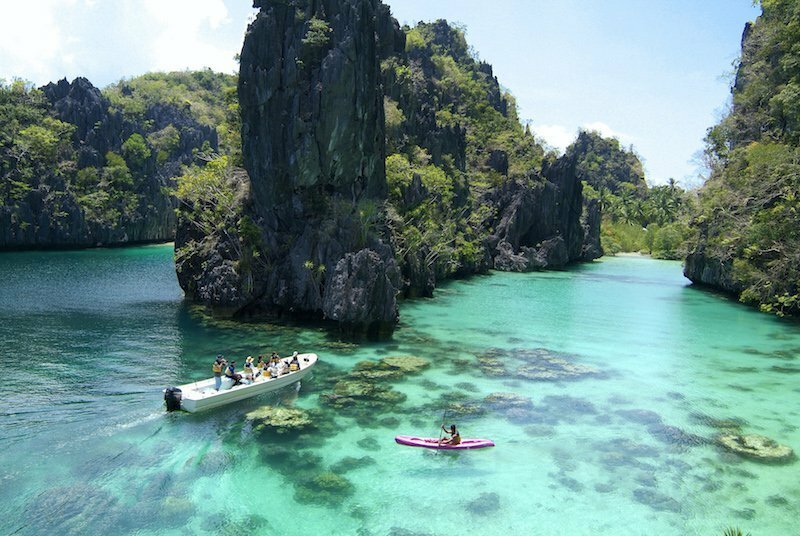 Gomantong Hill is the largest limestone outcrop in the area and contains at least nine caves. For century, the Gomantong Caves have been renowned for the valuable edible bird’s nests made by two species of swiftlets that roost in the caves. 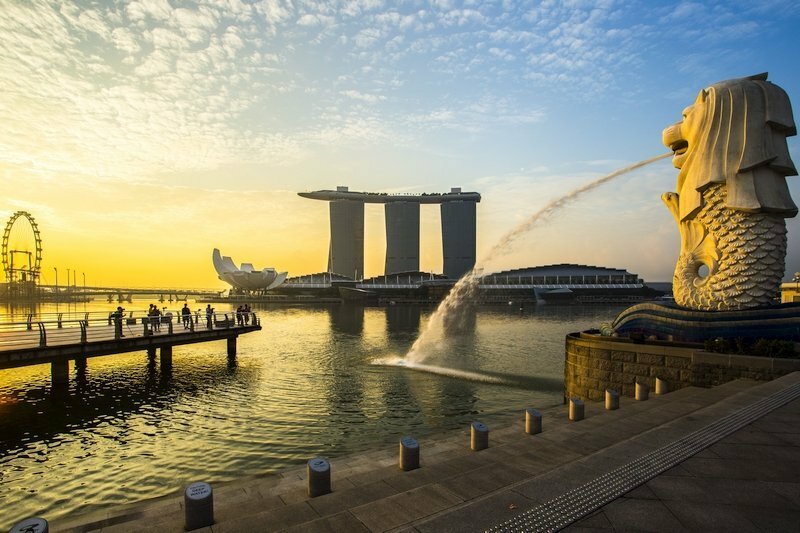 During the harvesting months, visitors may be able to witness the bird’s nests collectors in action. The cave is definitely an uninviting place, with thousands of bats, the smell of guano and the variety of “creepy crawlies” lurking around. However, for these creatures, caves are home – they provide a sanctuary from predators and a secure place to raise their young. Predatory civets, cats and even snakes have been spotted. They are an important part of swiftlet ecology as the weaker birds are removed, allowing stronger traits for survival to be selected within the population. Fallen bats and swiftlets are also important part of diet of invertebrates, such are the cave cockroaches, spiders, carrion beetles, crickets, centipedes and scorpions. 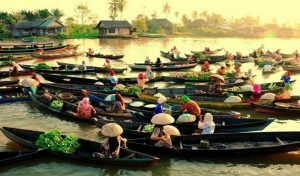 Abai village is the nearest access to Lower Kinabatangan Segama Wetlands, located 40km or about an hour’s boat ride from Sandakan harbour. 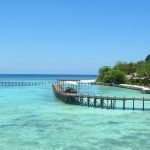 Abai is considered to be one of the most picturesque of the Kinabatangan settlements. Abai is an excellent site to observe the array of methods the locals use to fish in the river and nearby oxbow lake. The Abai oxbow lake, also called Pitas Lake, is a wonderful place to view birdlife. Water birds like the oriental darter, egrets, storks, and kingfishers are a common sight at the lake. The lake is only few minute boat ride from the lodges and is best visited in the early morning. 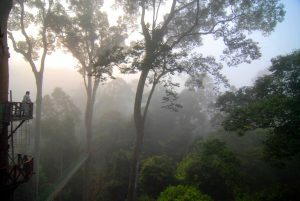 The forest around Abai is also reported to be the habitat of orangutans and Bornean elephants. 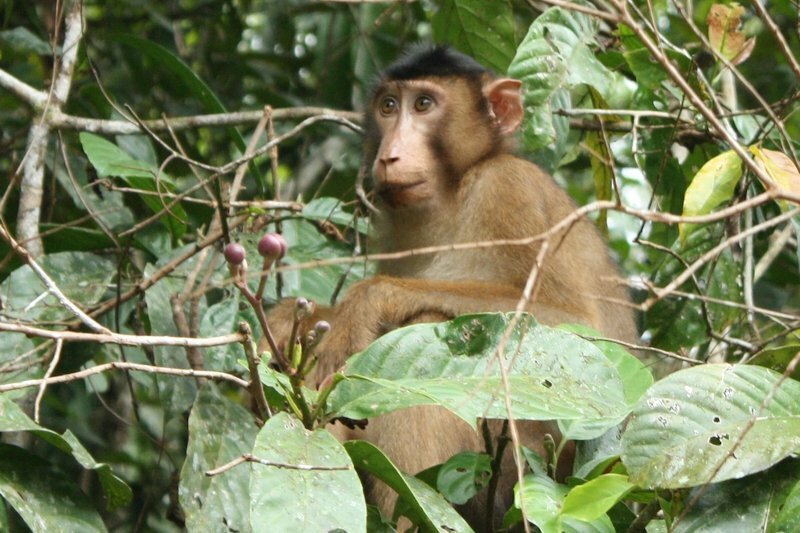 Many other animals may be spotted from the main river on a journey upstream to the village of Sukau. 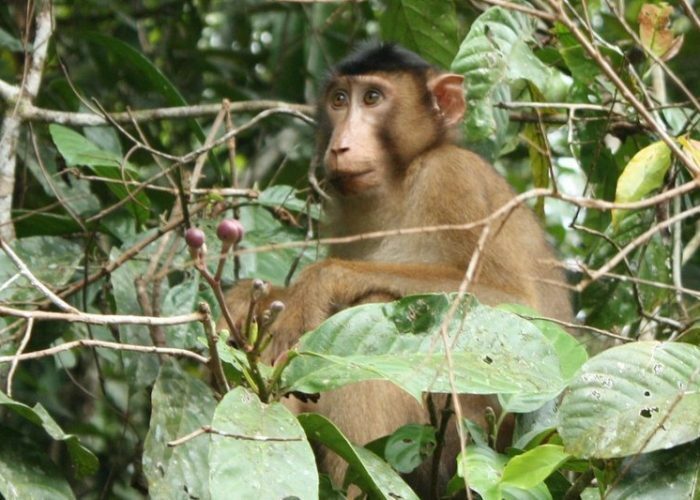 As with all areas in the lower Kinabatangan, the more time spent on the river, the better the chance of being rewarded with glimpse of wildlife. The first tourist lodges on the Kinabatangan River opened around the kampung of Sukau, 134km from Sandakan by road or 87km by boat. Sukau Village on the Kinabatangan River is the easiest place to reach and it’s particularly popular among travellers. 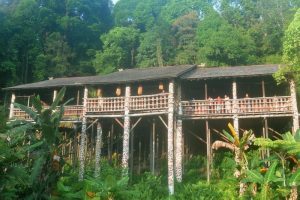 Sukau village has become one of the main nature and eco-tourism centre in Sabah. The Orang Sungai, literally ‘River People’, is one of Sabah’s more than 30 ethnic groups. They have their own language and traditional practices and beliefs and have traditionally lived in small groups in the rural areas along the Kinabatangan River, Paitan, Labuk and Kudat. The Orang Sungai of the Kinabatangan are of mixed ancestry. Many are descendant from the true natives such as the Tambanua, Idahanand Dusun, and others ethnics groups such as the Suluk, Kagayan, Bugis and Chinese. The Orang Sungai still live in scattered settlements along the Kinabatangan River. 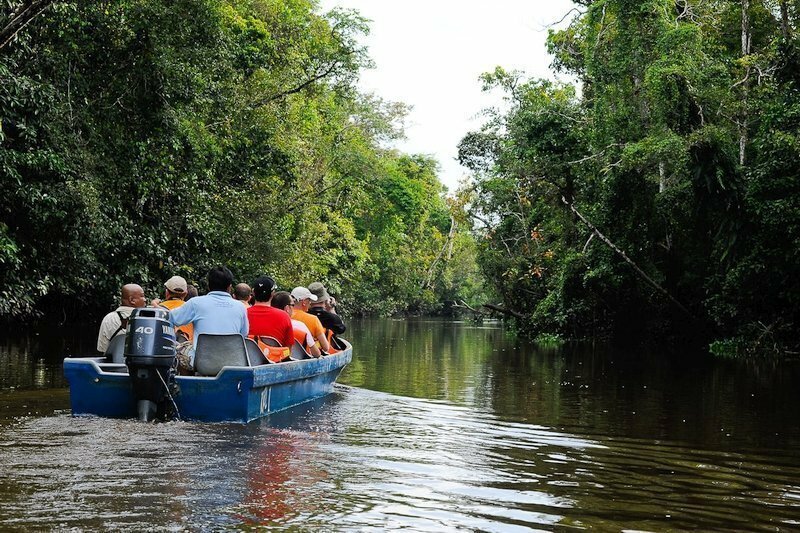 Kinabatangan River can be reached either by boat or by road. From Sandakan Airport you can arrange transport to the Kinabatangan River. It’s about 2.5 hours drive passing through palm oil plantations. 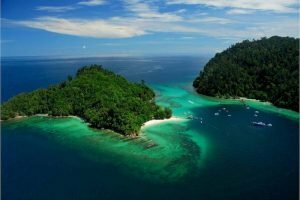 The boat transfer from Sandakan to Sukau and Abai is arranged by the lodges. The boat ride will take approximately 2.5 hours. 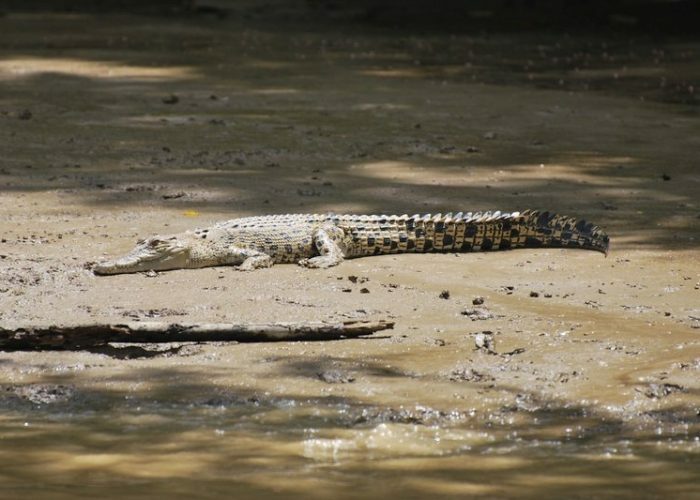 As you cruise through the Kinabatangan River, you may spot wildlife. 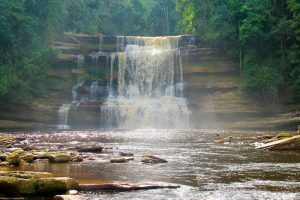 Kinabatangan River can be visited all year round, though it is often flooded during the wettest part of the year in December and January. The main flowering and fruiting season, from April to October is generally fairly dry and a good time to spot many birds and animals. Abai Jungle Lodge, located in Kampung Abai, about 1 hour by boat from Sandakan is nestled in the tropical rainforest, facing the Kinabatangan River. 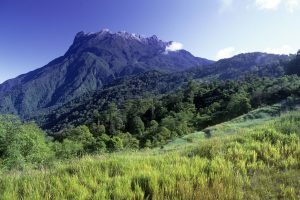 There is a short plankwalk behind the lodge where you can spot birds, leaf monkeys, orangutans and even clouded leopard. Nestled along the riverbank of Kinabatangan River lies Borneo Nature Lodge – an eco-friendly resort, offering the comfort without compromising the green. Kinabatangan Riverside Lodge is located in Sukau, about 2 hours by boat from Sandakan. It’s one of the most established river lodges in Sukau and guarantees the observation of wildlife in their natural habitat. 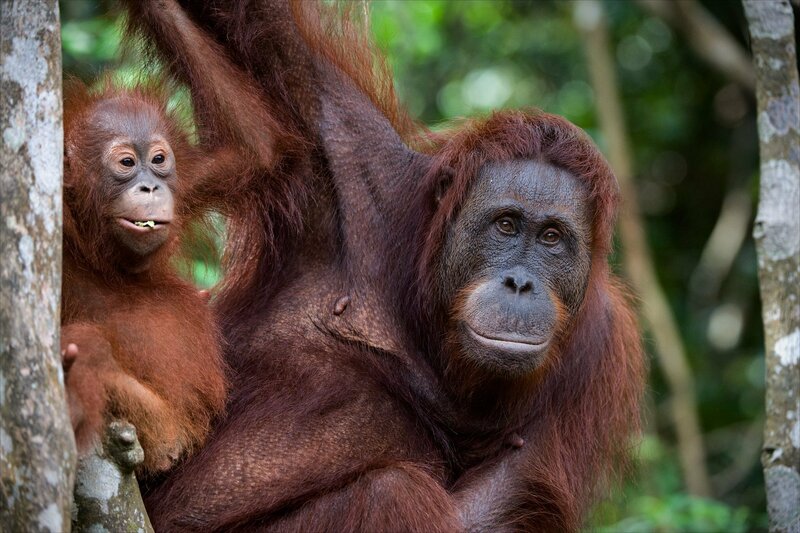 Maliau Basin, known as Borneo’s ‘Lost World’, is home to one of the most diverse collections of flora and fauna. Danum Valley is considered the most beautiful primary rainforest in Borneo. 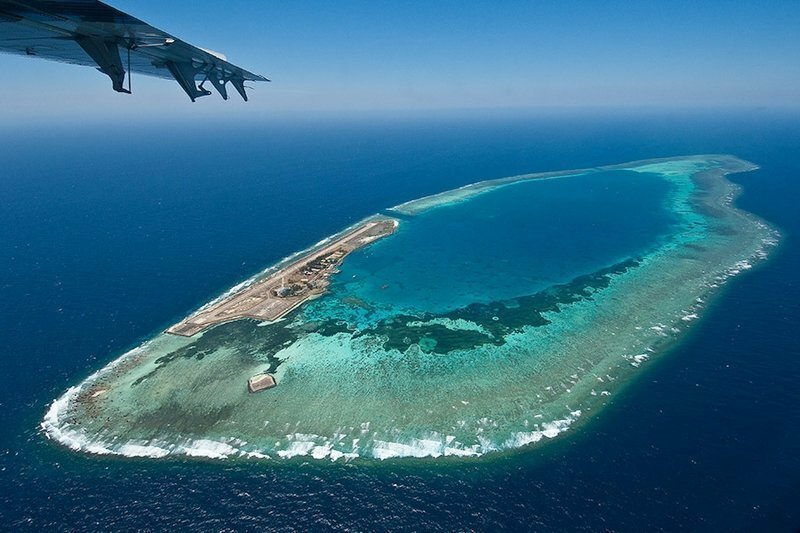 A deep sea atoll off the coast of Sabah, with a kaleidescopic underwater world like no other. 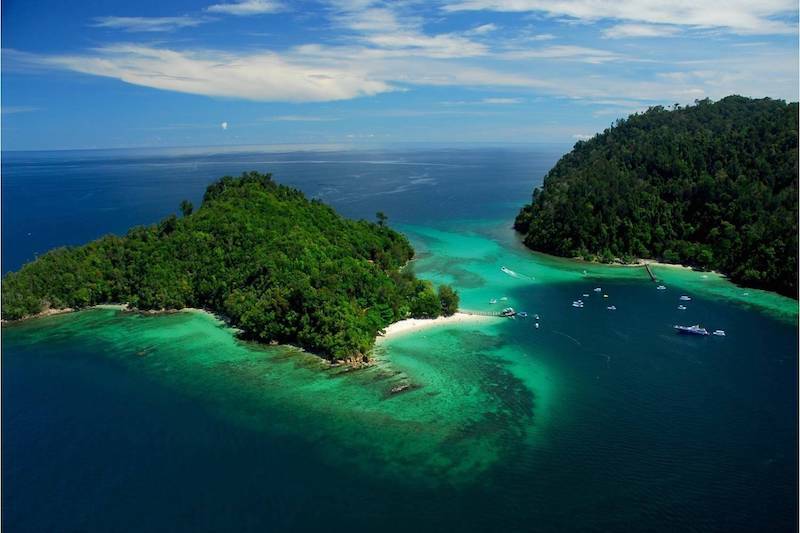 A cluster of 5 tropical islands: Gaya, Sapi, Manukan, Mamutik and Sulug.